In other words just because you “feel good” does not mean you are healthy. (Many people feel good the day before a massive heart attack, but that does not mean they were healthy). In order to reach a state of good health one must first reach a state of “normal function,” so therefore you must find out what causes you to function normally, or optimally. So how is normal function achieved? Many might state that eating right and exercising are the answer and the renewed interest in healthy eating, workout programs, CrossFit, yoga, swimming and running all indicate that people are willing to try new things to stay healthy. Despite all of the benefits associated with these activities, none of them make you FUNCTION better. How Can Your Body Function Better? To find what really causes you to function you have to go to your anatomy and not to the gym or the health food store. What “causes” function is the Central Nervous System or CNS. The CNS is composed of the brain, spinal cord and spinal nerves and it controls all functions and healing in the human body. As the central generator of all cellular processes, it needs maximum protection. Thus, the CNS is located inside the armor-like bones of the spinal column and skull. To have “normal function,” the Central Nerve System must work without damage, interference or inflammation. The most common way damage is caused to the Central Nervous System is through the spine, particularly through “Abnormal” position of the head and spine and misalignment of individual vertebrae which is often caused through wear and tear, repetitive stress or trauma . This interference will cause the muscles and organs of the body not to function or heal “normally.” By definition, the result is abnormal or less than optimal health. Chiropractic care then is the method by which one can hope to achieve optimal health, a way to optimize health with a non-invasive natural approach that avoids drugs and surgery. This is achieved by identifying and correcting instability and tension found throughout the body, most notably within the framework of the spine, and utilizing corrective procedures know as “adjustments” to restore the body to it’s natural state. While most patients first come through the door for symptomatic relief, many choose to stay on for corrective and wellness care after seeing how much better they feel, sleep, work and play with chiropractic care. At Peak Performance Health Center, each adjustment is unique and specifically tailored to each individual patient. Some prefer manual adjustments while some prefer instrument based, others prefer somewhere in the middle. It all depends on your comfort level, age, goal, and current state of health. 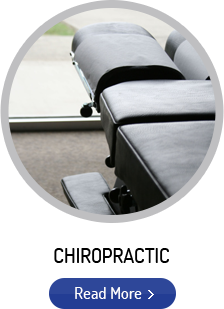 Millions of people visit chiropractors every year and the chances of adverse effects are extremely remote. There is more risk associated with the drive to the office or taking a tylenol than with the treatment itself.